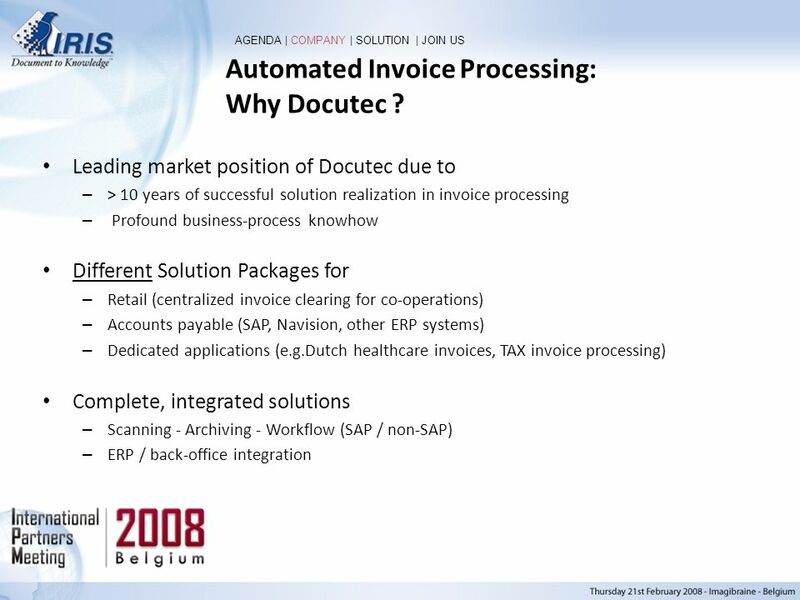 5 Automated Invoice Processing: Why Docutec ? 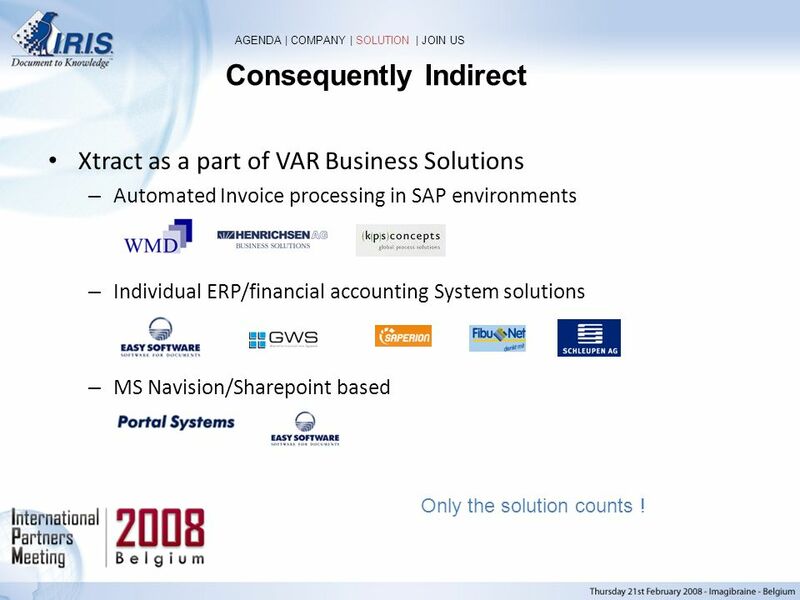 AGENDA | COMPANY | SOLUTION | JOIN US Xtract as a part of VAR Business Solutions Automated Invoice processing in SAP environments Individual ERP/financial accounting System solutions MS Navision/Sharepoint based Only the solution counts ! 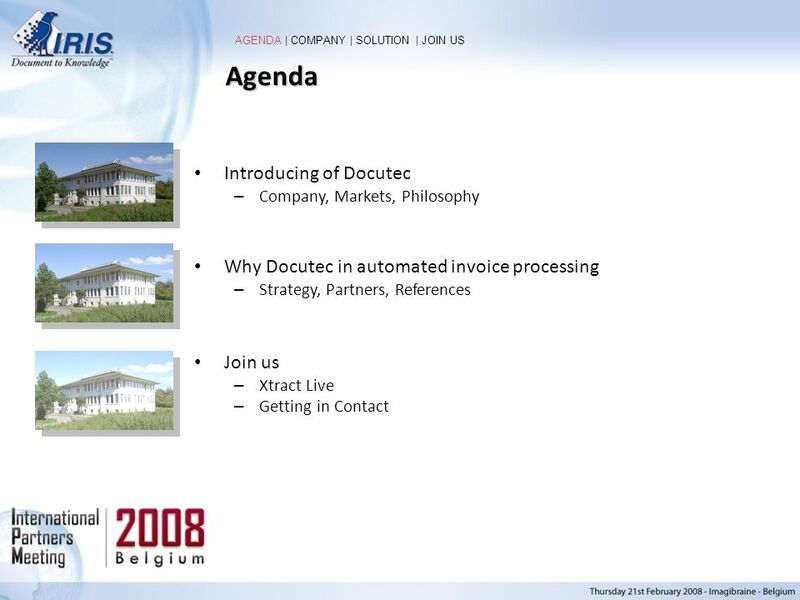 AGENDA | COMPANY | SOLUTION | JOIN US Solution Driven Flexibility .... 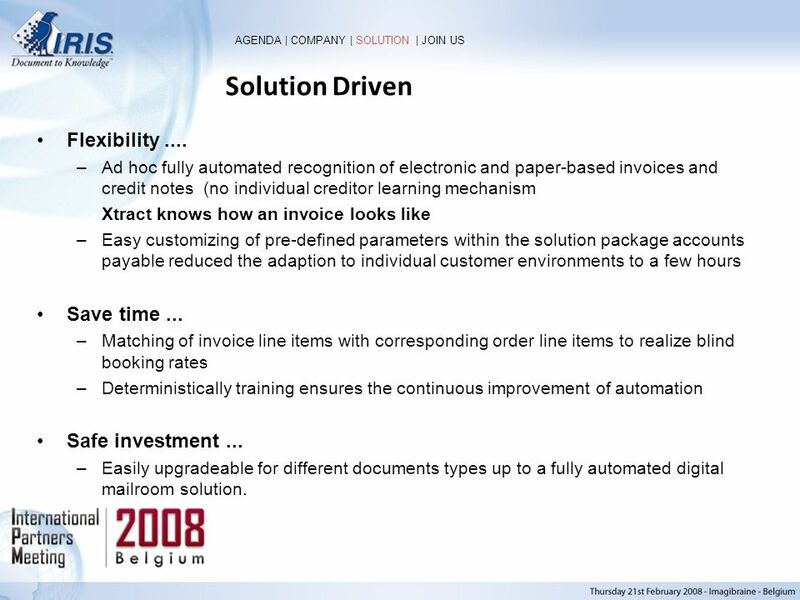 Ad hoc fully automated recognition of electronic and paper-based invoices and credit notes (no individual creditor learning mechanism Xtract knows how an invoice looks like Easy customizing of pre-defined parameters within the solution package accounts payable reduced the adaption to individual customer environments to a few hours Save time ... Matching of invoice line items with corresponding order line items to realize blind booking rates Deterministically training ensures the continuous improvement of automation Safe investment ... 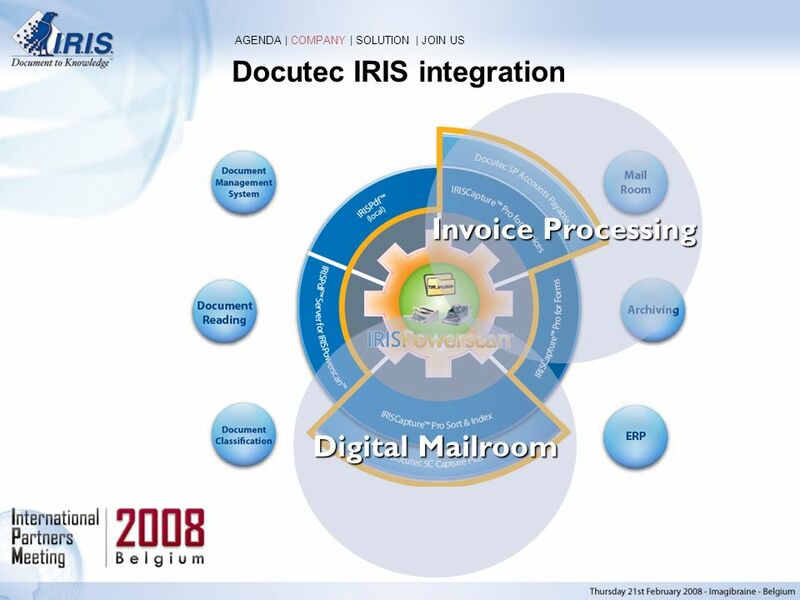 Easily upgradeable for different documents types up to a fully automated digital mailroom solution. 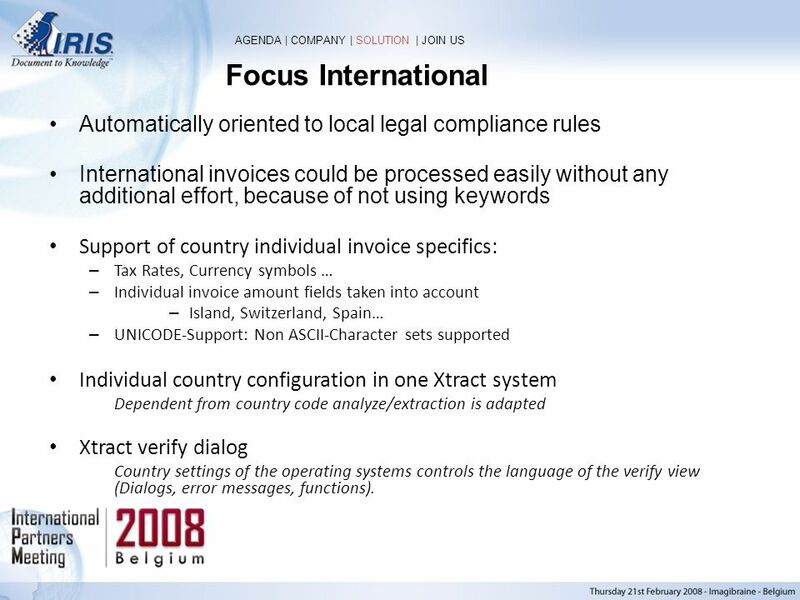 10 Focus International AGENDA | COMPANY | SOLUTION | JOIN US Automatically oriented to local legal compliance rules International invoices could be processed easily without any additional effort, because of not using keywords Support of country individual invoice specifics: Tax Rates, Currency symbols … Individual invoice amount fields taken into account Island, Switzerland, Spain… UNICODE-Support: Non ASCII-Character sets supported Individual country configuration in one Xtract system Dependent from country code analyze/extraction is adapted Xtract verify dialog Country settings of the operating systems controls the language of the verify view (Dialogs, error messages, functions). AGENDA | COMPANY | SOLUTION | JOIN US Join us ! 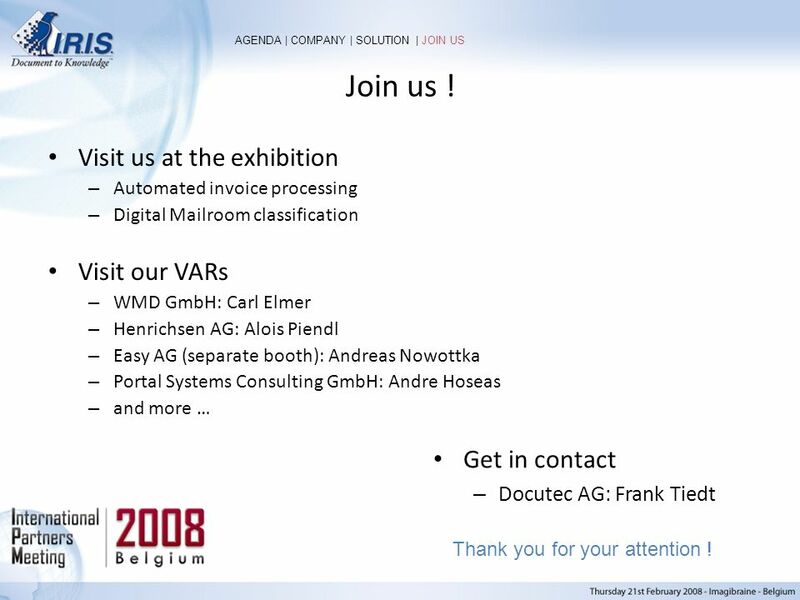 Visit us at the exhibition Automated invoice processing Digital Mailroom classification Visit our VARs WMD GmbH: Carl Elmer Henrichsen AG: Alois Piendl Easy AG (separate booth): Andreas Nowottka Portal Systems Consulting GmbH: Andre Hoseas and more … Get in contact Docutec AG: Frank Tiedt Thank you for your attention ! 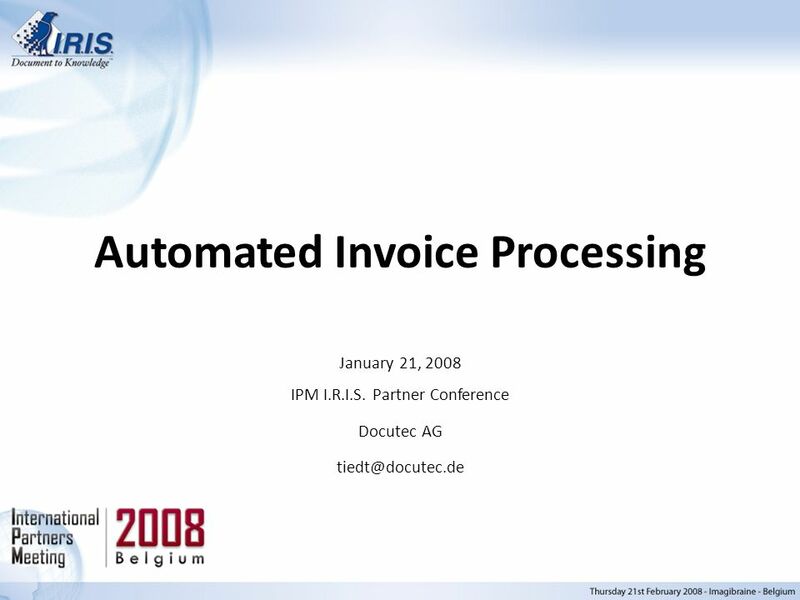 Download ppt "Automated Invoice Processing"
Scan Checks Remotely Electronically Deposit and Clear YOU GET YOUR MONEY FASTER Your Location Bank. TIS in the Finance Department. Cashflow management –DSO v DPO –Visibility of information –Manage accruals Resource management –Staff turnover –Risk, training. Sage User Network Conference Warwick University 16th & 17th, October 2012. 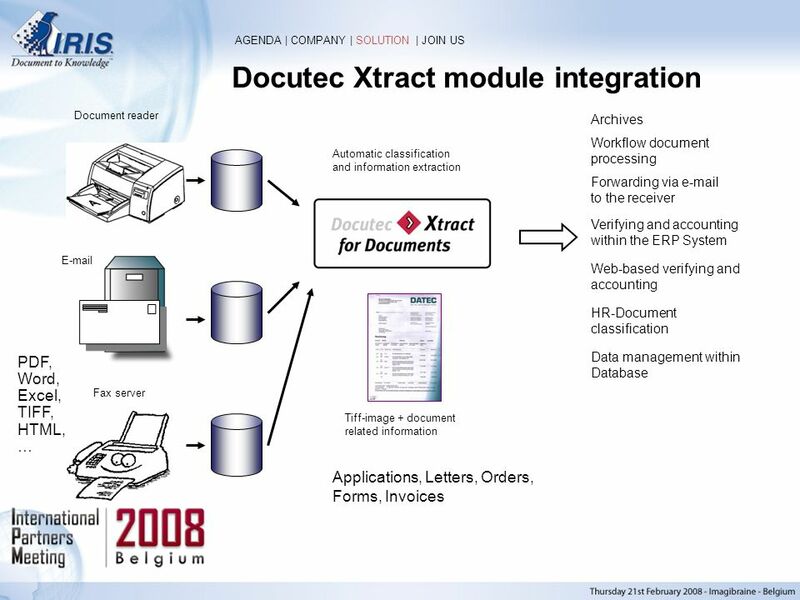 Data Integration in Pulp and Paper Industry Timo Syrjänen PELC 2006, 7th June 2006 World Forum Convention Centre, The Hague. Client Lunch & Learn (12:15). Association for Information & Image Management Nov Research Scanner Utilization. © Nuance Communications, Inc. All rights reserved. 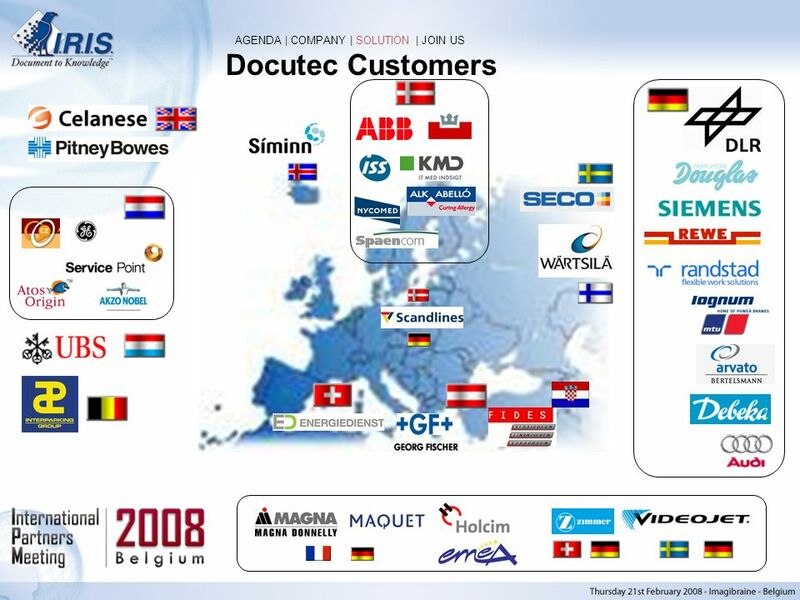 Page 1 Nuance ® AutoStore ® for SAP ® solutions. From paper to SharePoint… with IRISPowerscan™ A document capture, indexation, OCR and Microsoft SharePoint integration solution. 3,5 kilometers pension insurance files: How AllBidigit and I.R.I.S. scan, classify and index paper based files for Aegon Ludy van Dijk, LUDOC b.v. Leo. Make your messaging reliable use it Messaging. A single and global solution Send, receive and process any type of message through the appropriate channel. 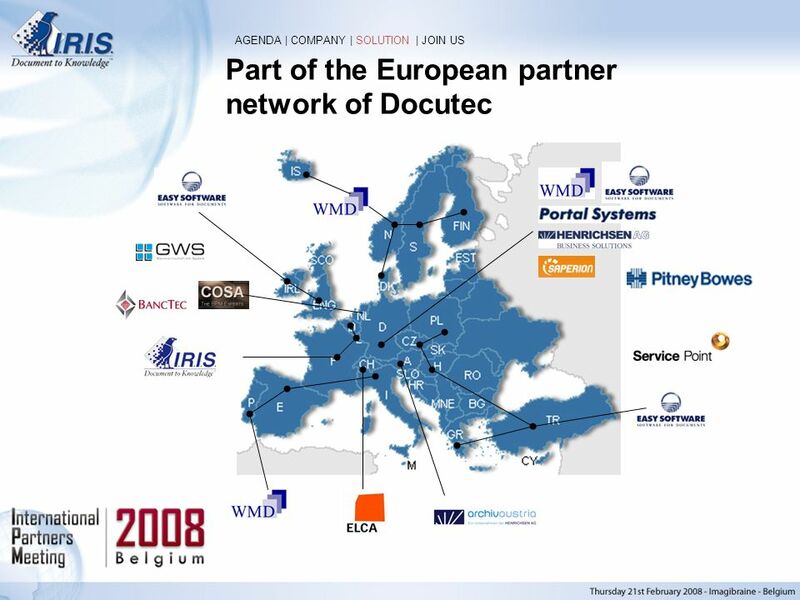 Delivering Value Driven Document Management. 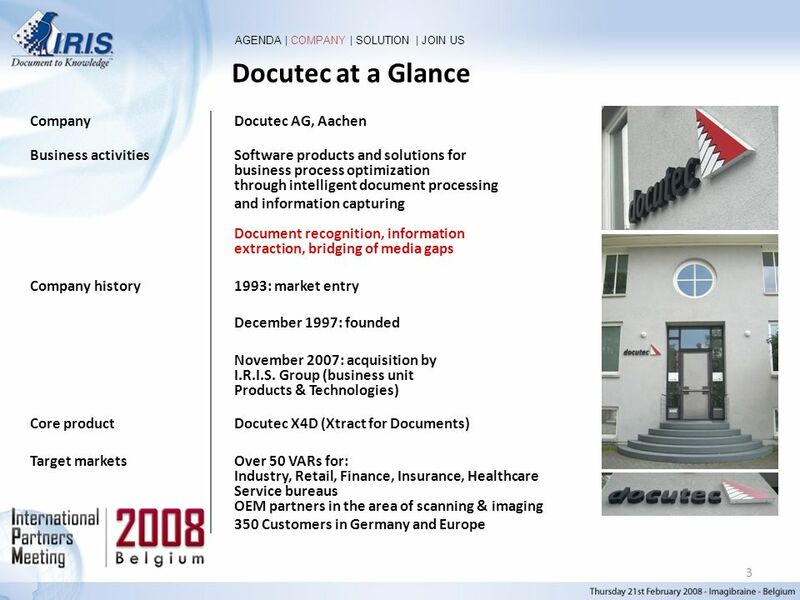 The Business Case An unfulfilled need in the market for a powerful, comprehensive and value driven document. 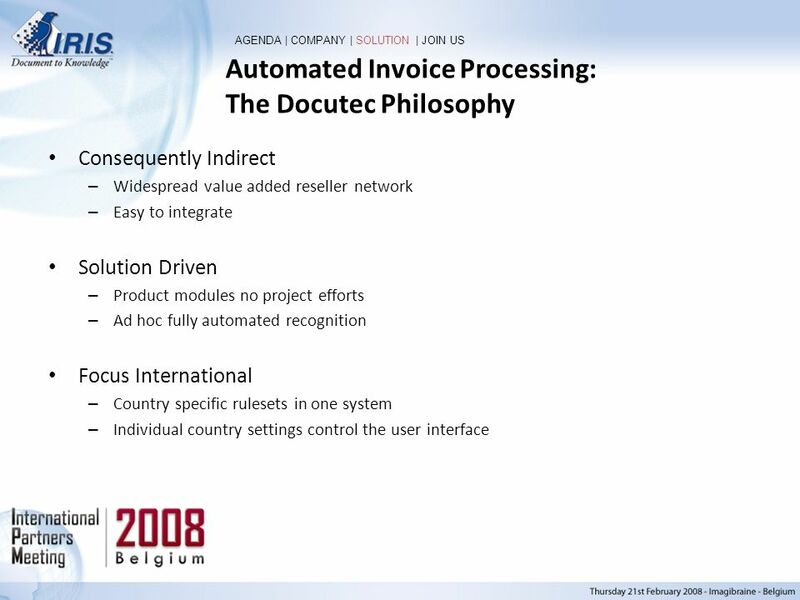 Automating your Business Processes Using Oracle Workflow Therron Hofsetz Logical Apps, Inc.